Extend the life of your roof by keeping an eye out for these threats. 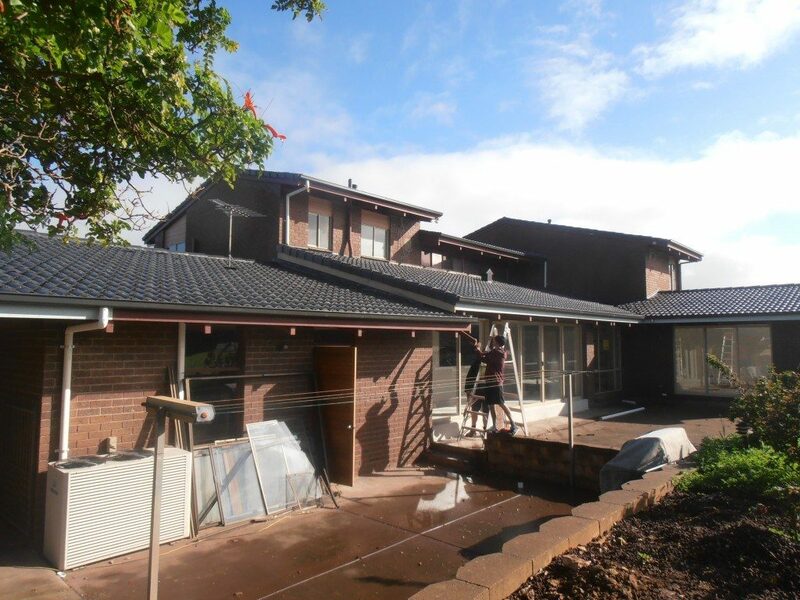 Keeping your roof in tip top shape is important regardless of where you are in Australia. Roofs keep us safe in our homes and perform essential structural roles within the overall building. A roof however, is not immune to risk. Old or new, there are a number of different threats to your roof structure and integrity; from animals, debris, maintenance and weather. The team at Horizonline Roofing have seen it all, so we have put together the top threats to Australian roof systems and how to prevent or minimise them from causing damage to your home. Across Australia, we have different weather systems and cycles, these sometimes intense storms and weather events can impact the roof structures and the integrity of the components. Weather elements like strong wind, hail or rapid changes in temperature can all cause damage to the roof and the damage may not be evident straightaway. Preparing your home for storm seasons is the best way to prevent further damage. Ensuring gutters are clear of debris and stormwater drains have clear drainage are just two of the small things you can do to make sure your roof stays safe. After any particularly intense weather events, it’s always a good idea to have a professional out to check the roof for any issues not visible from the ground. You should especially consider this if you have noticed cracks in the walls or even small amounts of water in the house after a storm, whether its running down a wall or dripping from the ceiling, neither of these are good signs and it’s time to get a roofing expert out immediately. Depending on the type of roof you have, you may have unseen drainage issues. This is why it is imperative that components like the gutters and stormwater pipes are clear of debris and able to free flow even in regular rain. Pooling water is also the leading cause of rot, mould and structural issues. Whether it’s from a storm, trees to close to the home or just a build-up of leaves and dirt, debris can put your roof at risk. Even something as simple as trees too close to the house that rub against the surface of your roof can damage any coating present that may protect the roof itself. Extra leaves and branches on the roof can lead to pooling water, which breeds mosquitoes and mould. It is always a safe bet to visually check your roof for debris and remove it as quickly as possible, especially around storm season. If you see any pooling water or leaves stuck to the roof, it may be time to get an expert in to make sure nothing more sinister is going on. Animals can also cause roofing weaknesses and there isn’t much we can do about it. Possums are notorious for taking refuge in roofs and destroying insulation and wiring. Snakes, rats and small mice are also pests that can cause property damage. It is always a good idea to have pest inspections done, and to keep an ear out for any extra critters in the ceiling, calling an animal relocation specialist wherever possible. Having noted all of this, the single biggest threat to any roofing structure is neglect. Whether its letting the gutters clog, or not trimming the trees around the home, a lack of maintenance is another way for roofs to deteriorate quicker than expected. Even if it’s a short visual check of the roof every couple of weeks or so, every little bit helps.